Businesses around the world have been deploying an early adopter version of Oracle Blockchain Cloud Service, which becomes generally available today. The service allows organizations to easily build blockchain networks to drive more secure and efficient transactions and to track goods through supply chains on a global scale. Arab Jordan Investment Bank, CargoSmart, Certified Origins, Indian Oil, Intelipost, MTO, Neurosoft, Nigeria Customs, Sofbang, Solar Site Design and TradeFin are among the many global organizations that already have adopted Oracle’s blockchain platform. Blockchain has the power to fundamentally transform how every industry does business by making interactions more secure, transparent, efficient and cost-effective. Oracle Blockchain Cloud Service provides customers with a development platform to build their own networks, and to quickly integrate with Oracle SaaS and third-party applications they already use, as well as other blockchain networks and Oracle PaaS services. It also enables users to provision blockchain networks, join other organizations, and deploy and run smart contracts to update and query the ledger. Oracle’s blockchain platform leverages the company’s decades of experience across industries and its extensive partner ecosystem to reliably share and conduct trusted transactions with suppliers, banks, and other trade partners through blockchain. Oracle’s blockchain platform is built on top of The Linux Foundation’s Hyperledger Fabric. It is pre-assembled with all the underlying infrastructure dependencies, container lifecycle management, event services, identity management, REST proxy, and a number of operations and monitoring tools integrated under a single console, expediting the set-up and application development process. Oracle Blockchain Cloud Service is an Oracle-managed cloud platform backed by a 99.95 percent availability SLA, with built-in high availability configuration, autonomous recovery agents, as well as continuous ledger backup capabilities that can enable multi-datacenter disaster recovery across availability domains. It further benefits from broad capabilities in Oracle Cloud Platform for plug-and-play integration with existing cloud and on-premises applications, API management, and application development environments and tools. Additionally, Oracle is delivering new SaaS applications to use blockchain technology for common use cases, such as track and trace, provenance identification, warranty and usage, and cold chain. The plug-and-play ability with Oracle and third-party applications results in faster integration with diverse systems of record; greatly accelerating time to market and multiplying the returns from using the blockchain platform across different application use cases. 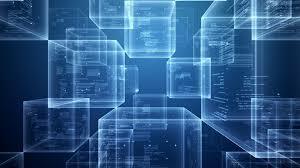 Blockchain has the power to impact almost all industries and has applicability to verticals from transportation, supply chain and logistics, energy, retail and ecommerce, to financial services, telecommunications and public sector. Organizations and industry consortia are already using Oracle Blockchain Cloud Service to help ease transactions, track goods through supply chains, and reduce costs, including global shipping leaders, multi-national manufacturers, food producers and energy marketplaces. For example, Oracle joined the Food Safety Consortium and is a member of The Alliance for Telecommunications Industry Solutions, participating in its working group on blockchain. Global Businesses Turn to Oracle Blockchain Service to Speed Transactions Securely 0 out of 5 based on 0 ratings. 0 user reviews. Password Stealer is the new ‘critical alert’??? Moving to the Cloud. Should I? Shouldn’t I?